Detroit: Kilpatrick, Conyers, and now Cushingberry? The Detroit News reported that newly-elected City Councilman George Cushingberry Jr. is showing signs of “being a train wreck waiting to happen” for the City of Detroit that’s already haunted by ghosts past – convicted former mayor Kwame Kilpatrick and councilwoman Monica Conyers. Apparently Cushingberry is on the defense for a recent incident that erupted from what seems to be a routine traffic stop for failing to signal a turn. Although it’s under police investigation, reports state that Cushingberry who referred to his vehicle as an old “raggedy Buick,” was pulled over after a short pursuit where he may have attempted to ram a police car. Police found an open bottle of alcohol and marijuana in his car. Cushingberry said the bottle was empty and the marijuana belonged to his passenger who presented a medical marijuana card. He was released at the scene without taking a sobriety test. When Cushingberry identified himself as a city council member a police supervisor was called to the scene which is required. There is a question as to whether or not the councilman was using his position as council president pro tem to bully the police officers. 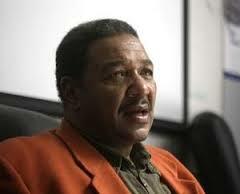 Cushingberry also claims he was racially profiled by two white officers. Reports indicate that one of the officers was African-American. With just a little over a week into his term, Cushingberry – a Baptist minister, and former member of the Michigan House of Representatives – has “embarrassed” the city that’s already under the direction of Emergency Manager Kevyn Orr for its financial woes. Cushingberry considers himself a political wheeler and dealer, but observers say his judgment and integrity have come into question. With all Detroit has gone through, and with all the effort to entice investors as the city struggles to re-invent itself, one would think the city leadership would be a little more sensitive and cautious of what they project and how they conduct themselves. Right or wrong, Cushingberry – right out the gate – does not show signs of the type of leadership Detroit needs right now.